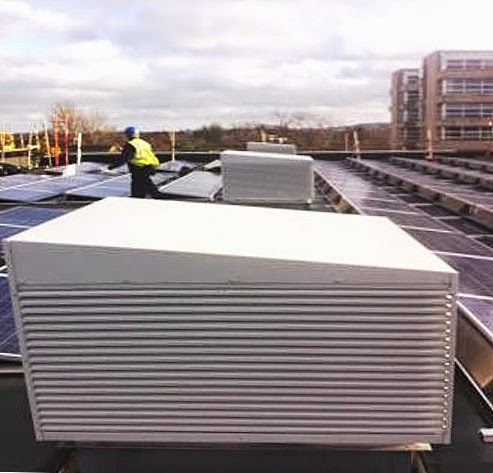 Airtherm have installed a new Wind-iVent natural ventilation system at John Roan school in Greenwich, London. Founded in 1677, the John Roan School is one of the oldest state schools in the country, with a rich and distinguished past. 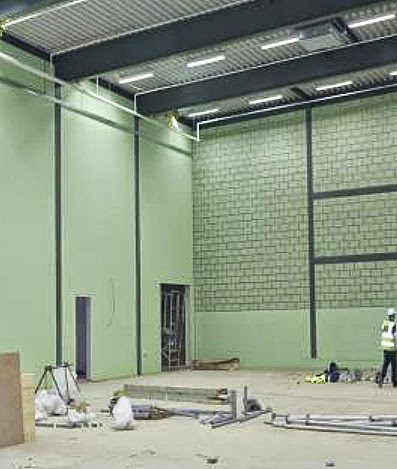 Having recently received funding under the government’s Building Schools for the Future initiative, the school is on the cusp of opening the doors on one of the UK’s most innovative, fun and flexible learning environments - a new, modern sports hall project, where the natural ventilation system was installed. The complex will house four badminton courts, one indoor tennis court and a basketball and volleyball court with space for 5-a-side football. There is also a separate activity studio where Zumba and dance classes can be held, which will take PE lessons to a new level at the school. A natural ventilation solution like the Wind-iVent will ensure a constant fresh air supply for occupants, the efficient removal of unwanted CO2/stale air and a suitably heathly environment for activity. The John Roan has been dedicated to serving the community of Greenwich for more than 335 years and Airtherm Engineering have been proud to partake in the development of the brand new, state-of-the-art 7,600m2 building at Westcombe Park. This, along with a fully redeveloped facility at Maze Hill will make John Roan one of the largest schools in the United Kingdom. The Wind-iVent units are lifted by a specialist crane company who work closely with our on-site engineers. The systems are mounted onto the 3mm thk aluminium fully insulated roof upstands. Each unit is fixed and secured to not only the upstand but internally using universal type fixings. Once each unit is secured a low-leakage uPVC damper and 24v actuator is fitted, followed by the insulated plenum and an internal powder coated grille to complete the system.